Thumbstick Gamer: Creepypastas - My personal thoughts. Creepypastas - My personal thoughts. Creepypastas for those who dont know, are short horror stories that are shared across the internet. Creepypastas can be based on pretty much anything, but usually revolve around media devices such as cartoons and video games. I have read and followed some really well done like Ben Drowned and Pokemon Lost Silver, both of which are magnificent. But lately, all of the creepypastas I have heard have been nothing more than awful, awful fan fictions trying to gain popularity on what other have done. One of the latest I heard was based on Ocarina of Time. 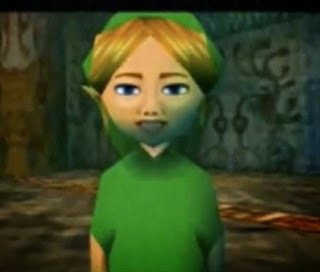 The story told of how the user/story teller had a weird fascination with the Zelda character AI from Ocarina of Time. The story is muddled, all over the place, and well, honestly, the worst thing I have ever heard. The story has zero flow and makes zero sense. I cant put into detail how awful it is. Creepypasta writers, I have one thing to say to you. Be original. We have had our creepy stories for Pokemon and Zelda. Anything you do based on these series will feel like nothing more than you trying to mimic the same thing. Move on. find another form of media and make it great.